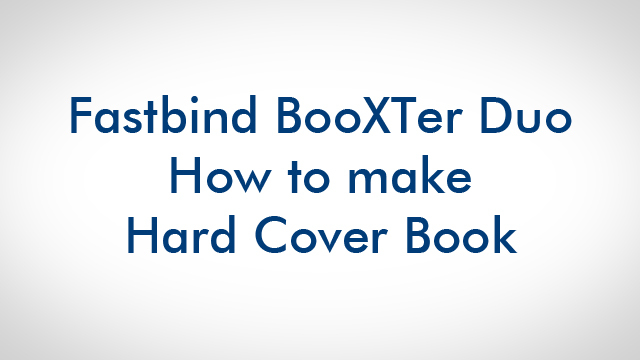 Fastbind BooXTer Duo allows you to side-staple the book or album content in a clean, regular and consistent way. 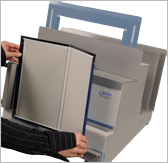 The stapling process makes it possible to bind most materials, including non-paper ones. When producing a hard cover book, just add a pair of BooXTer endpapers at the front and back of the content block. After stapling the content, place the cover on the special positioning unit, to make sure the content is centered in the cover. Peel the endpapers and attach them to the cover. Your premium book is ready.